Make sure your Mercedes-Benz Sprinter Van performs at its best by trusting service and repairs to the Mercedes-Benz of North Olmsted Van Service Center. Our factory-trained, certified technicians have the skills, knowledge and tools to efficiently care for your Sprinter Van. Mercedes-Benz of North Olmsted will help you keep the cost of owning a Mercedes-Benz Van low. Even the safest drivers can have an accident. The certified repair experts at Mercedes-Benz of North Olmsted stand ready to repair your van after a collision. Their skill will get your Mercedes-Benz Van back on the road as quickly as possible. Excellent service is certainly vital to get the most out of your Mercedes-Benz Van, but so are the right parts. We use genuine Mercedes-Benz parts that are manufactured to exacting standards for perfect fit and function. Always insist on Mercedes-Benz parts to safeguard the operation, reliability and safety of your Sprinter Van. 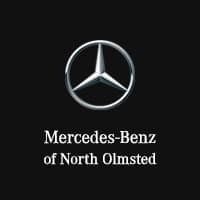 Mercedes-Benz of North Olmsted delivers the convenience you deserve by providing complimentary Sprinter service loaners. From Passenger to Cargo models, Mercedes-Benz of North Olmsted will keep you on the road while you wait for repairs.